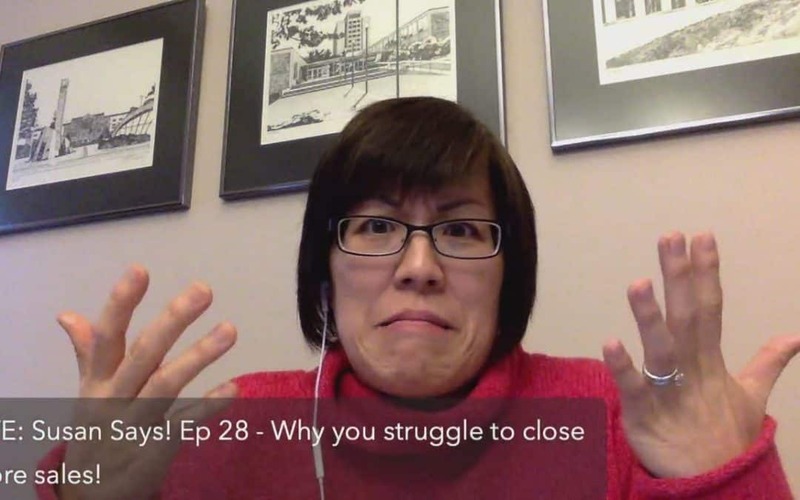 Why you struggle to close more sales! If you’re struggling to convert more conversations and need a step by step process, get on the VIP list for my signature Sell With More Ease Program. How do you get them to commit while on the phone to avoid the follow-up trap? Sorry I missed this question! So if you make an offer it’s important to get an answer either way. Even if someone needs more time, they already have an idea of what their answer is going to be. So the time they take to think will be to confirm the answer they’ve already decided on. It’s important to find out what that is. You can ask them, I know you need time to think it over, but right now does it feel like a yes or a no? You want to help them get to that point and not be a maybe. Otherwise that becomes a follow up headache. Susan McVea That makes a lot of sense, thank you!! Only give the offer to those who are ready for you and who you want to work with! You get to choose. Always!! Sorry it wasn’t cooperating with you Jenna! Were you able to catch the replay? Let me know if you have any questions I can answer for you.